George has practiced with Starnes Davis Florie, LLP since 2001. 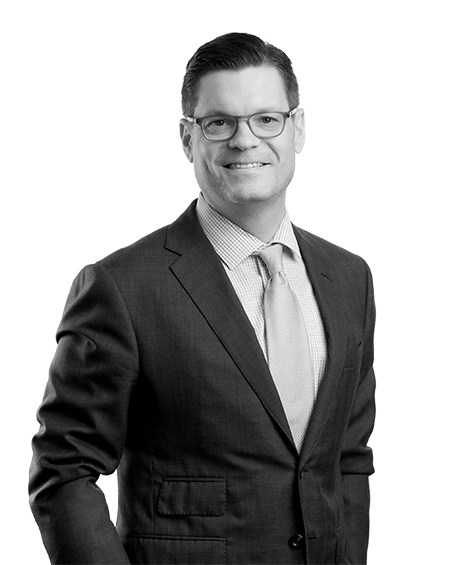 His practice covers a diverse range of complex civil litigation, including professional liability, healthcare, construction, real estate, banking and business litigation. He regularly serves as trial counsel in complex civil jury trials in the state and federal courts of Alabama and other jurisdictions, having tried over 25 complex cases to a verdict. Associate of the American Board of Trial Advocates (ABOTA). AV rated attorney by Martindale-Hubbell® Peer Review Ratings. Named a Rising Star in Alabama Super Lawyers® magazine. Active member of the Alabama Bar Association, serving as a member of the Alabama Bar Leadership Forum Selection Committee and previously serving a multi-year term as a member of the Leadership Forum Section Executive Committee. While in law school, he served as a senior editor for The Alabama Law Review. Prior to graduating from Georgetown University’s School of Foreign Service, and following a period of study at Tokyo’s Jochi Daigaku (Sofia University), George successfully completed the Georgetown University’s Japanese Language Proficiency Examination. George and his family are active members of the Cathedral Church of The Advent, where George served for a decade as a member of the church’s Outreach Program as a musician for the Five O’Clock Service. He is also an active alumnus of Georgetown University, and has served as a member of the school’s Alumni Admissions Program for 15 years. George is also a member of the board of directors of the Parkinson’s Association of Alabama and the board of directors of Camp McDowell. He is also a member of the Japan-America Society of Alabama, and has also served as a Trustee of the Birmingham Chamber of Commerce. Obtained a defense verdict in favor of two OB/GYNs in a two-week maternal death trial alleging negligent management of gestational hypertension and negligence in failing to administer diuretics in the postpartum period. Obtained a defense verdict in favor of a neurosurgeon in a wrong level spinal surgery case involving allegations of a breach in the standard of care by operating at the T8-9 level instead of the intended T9-10 level. Obtained a judgment as a matter of law in favor of an emergency room physician in a wrongful death case alleging negligence in the work-up of a patient who presented to the emergency department. Obtained a defense verdict in favor of an obstetrician-gynecologist in a wrongful death case alleging negligent management of a pregnancy. Obtained a defense verdict in favor of an obstetrician-gynecologist in a case alleging negligent management of a suspected ectopic pregnancy. Following a three week jury trial, obtained a verdict in favor of a urologist in a wrongful death action alleging failure to diagnose and treat postoperative bleeding following a bilateral hand-assisted laparoscopic nephrectomy surgery. Secured a favorable plaintiff’s settlement on behalf of a commercial real estate owner in a matter brought against a national retail tenant in connection with a lease dispute. Secured a jury verdict for an emergency room physician and a radiologist in a medical malpractice action in Houston County, Alabama. The plaintiff alleged that both physicians failed to diagnose a fracture and acute rotary subluxation of the C1 vertebral ring following a motorcycle accident. 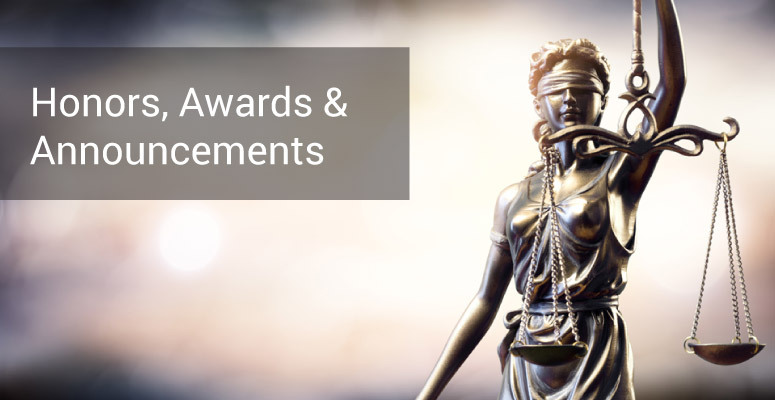 Obtained a favorable settlement on behalf of an international engineering firm in a complex multiparty dispute relating to industrial programming applications. Negotiated a favorable result of no liability for a large commercial developer in an environmental dispute with adjacent landowners relating to alleged siltation of downstream commercial property. Obtained a favorable settlement for a commercial real estate developer in a complex, multi-state dispute with lenders. Secured a jury verdict for a group of three cardiologists in a wrongful death action alleging that the cardiologists improperly failed to consult a surgeon to perform an embolectomy following the diagnosis of a thromboembolic occlusion of the superior mesenteric artery (SMA) during a cardiac catheterization procedure. Obtained a jury verdict in favor of a general surgeon in a wrongful death case alleging negligent failure to treat peripheral vascular disease with an aortobifemoral bypass graft surgery. Obtained a jury verdict in favor of a plastic surgeon in a wrongful death case alleging negligent postoperative monitoring of a patient with Von Recklinghausen’s neurofibromatosis. Secured a judgment in favor of a corporate client in a multistate contract dispute involving the sale of commercial property. 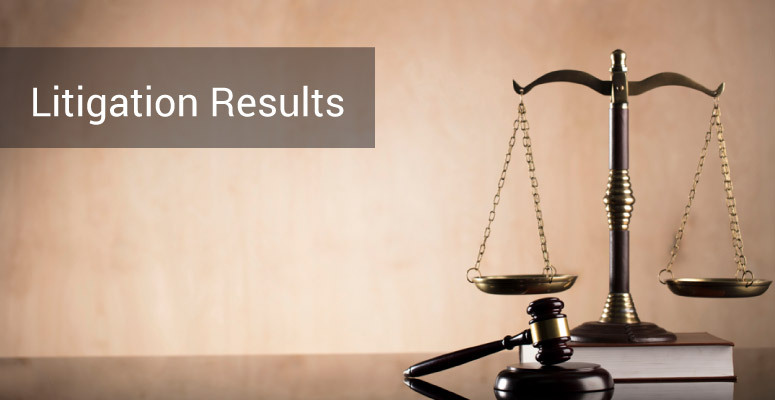 Obtained a jury verdict in favor of a cardiologist in a wrongful death case alleging negligent management of conscious sedation and resuscitation during an angioplasty and stent placement procedure. Obtained a jury verdict in favor of an emergency room physician in a wrongful death case alleging negligent failure to diagnose an arteriovenous malformation within the brain. Negotiated a favorable settlement on behalf of a hotel owner in arbitration proceedings with large hotel management firm. Obtained summary judgment and successfully defended the appeal before the Alabama Supreme Court in a matter alleging negligence and invasion of privacy related to the inadvertent dissemination of medical information. Obtained a jury verdict in favor of a family practice specialist in a wrongful death case alleging negligent failure to appropriately follow a pericardial effusion. Secured a jury verdict in favor of a general surgeon in a case alleging negligent failure to detect bowel injury and negligent failure to surgically repair a fistula. Obtained a jury verdict in favor of a surgeon and radiologist in a medical malpractice case arising out of complications experienced by the plaintiff following a shotgun wound to the head. Obtained a jury verdict in favor of a rural hospital in litigation stemming from the death of an infant diagnosed with bacterial meningitis. Secured a jury verdict in favor of a surgeon in a case involving complications from laparoscopic cholecystectomy procedure.